Dr. Scott teaches in the Business Psychology department. Her research interests focus on organizational behavior and development, with a specific focus in nonprofit capacity building. 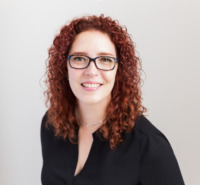 In addition to her work in high education, she has over fifteen years of practitioner expertise providing training and consulting services in strategic planning, process-improvement, and human capital development. Previous work experience includes serving on several non-profit executive leadership teams, overseeing the areas of strategy, organizational development and performance. Dr. Scott has been a Baldrige examiner for the Commonwealth of Virginia and is a certified Standard of Excellence consultant. Dr. Scott holds an undergraduate degree in Sociology and a masters degree in Organizational Sciences from The George Washington University, as well as a second master's and Ph.D. in Human and Organizational Systems from Fielding Graduate University in Santa Barbara, California. She lives in Falls Church, Virginia with her husband. Board Chair Space of Her Own, Inc.